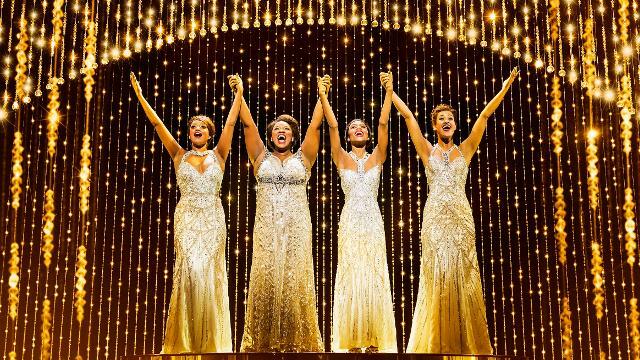 Discover the revolutionary sound of 1960s America as Dreamgirls takes over the stage at the Savoy Theatre. The Dreamgirls cast features Asmeret Ghebremichael as Lorrell Robinson, Brennyn Lark as Deena Jones and Marisha Wallace, Moya Angela and Karen Mav in the role of Effie White, as they form the soulful R&B group, The Dreams. The Dreams sing the same powerful songs in the West End musical that audiences loved in the 2006 Oscar-award winning film, starring Beyoncé Knowles, Jennifer Hudson, Eddie Murphy and Jamie Foxx. Prepare to be moved by stunning renditions of And I Am Telling You I'm Not Going, I Am Changing, Listen and One Night Only. Book your Dreamgirls tickets now to witness three ambitious young women face the harsh reality of what it takes to make it to the top.